These are one hour sessions at a location convenient for you that will include a warm-up and active stretching period of about 5 minutes, followed by approximately 50 minutes of interval/strength training (based on your current physical condition) and then we wrap it up with about 5 minutes of cool-down and deep stretching. Once we have discussed your goals as well as any physical limitations you may have, I will come up with a specific program just for you that will be efficient, challenging and just as important, fun! Packages may be purchased as well as individual sessions for tourists or business travelers. Just drop us a line here and we will get you on your way. These are also 1-hour sessions where you will work with a partner or small group (limit 4) at a location that is convenient for you. It makes getting in shape seem less daunting when you have a buddy or two to cheer you on! There will be a warm-up and active stretching period of about 5 minutes, followed by approximately 50 minutes of boot camp-style interval/strength training (based on your current physical condition) and then we wrap it up with about 5 minutes of deep stretching and cool-down. Contact us here for rates and package deals! Running groups and tours consist of 60-120 minute runs through especially scenic parts of our fair city. The routes will change regularly, but will generally be between 3-7 miles long. Some are flat. Some are hilly. For the more difficult terrain, there will be some hiking mixed in. You do not need to be fast to join! You just need to be able to run a mile without stopping. There will be stops along the way though, to take pictures and grab some water, as well as to learn tidbits about SF that you may not find in a typical guided tour. 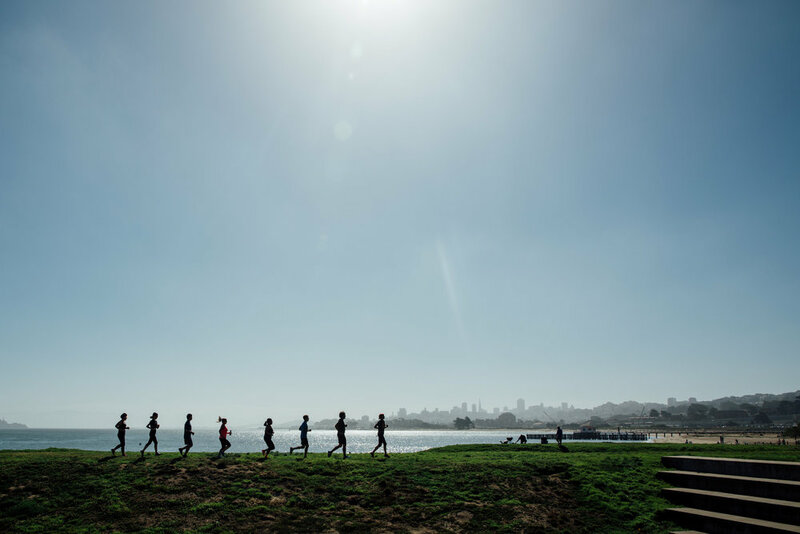 Guided runs are a great way to explore San Francisco and they're not just for tourists! Local runners enjoy discovering parts of the city they didn't know even existed too! PRICES: $30 per person or 2 people for $50 (limit 5). Contact us here to make a reservation today! *Routes are subject to change without notice. It doesn't happen often, but sometimes it does rain in California! For days like this, or if training outdoors just isn't for you, we will train you at BodyworkSF or Push Athletics, both private gyms in the Marina and Russian Hill neighborhoods. These too, are one hour sessions that will include a warm-up and active stretching period of about 5 minutes, followed by approximately 50 minutes of interval/strength training utilizing the equipment found in most gyms (based on your current physical condition) and then we wrap it up with about 5 minutes of cool-down and deep stretching. 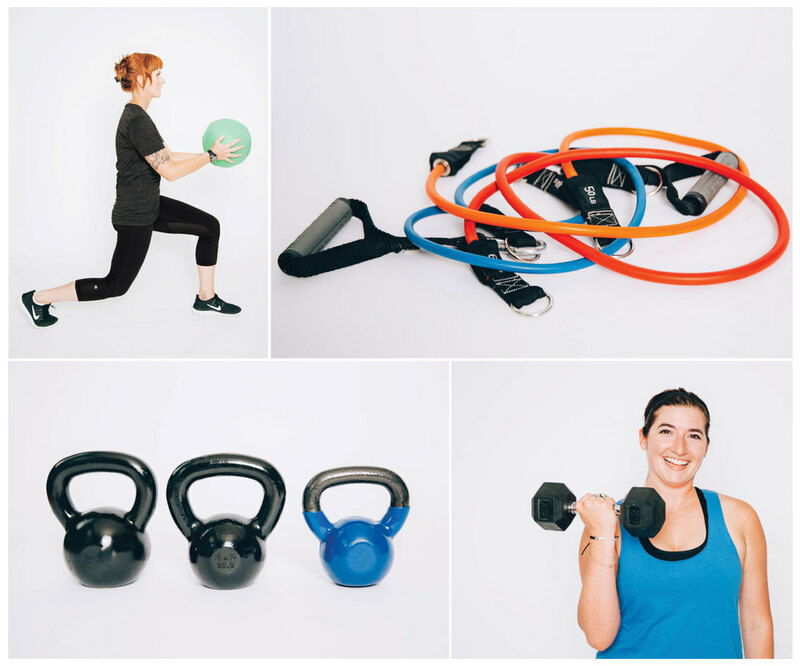 If working out at the gym or outside isn't your thing, we offer in-home personal training. These will be one hour sessions that will include a warm-up and active stretching period of about 5 minutes, followed by approximately 50 minutes of interval/strength training utilizing the equipment found in most gyms (based on your current physical condition) and then we wrap it up with about 5 minutes of cool-down and deep stretching, all while in the comfort of your own home! Please contact us for personal training pricing and package specials!